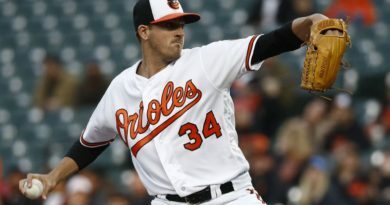 BALTIMORE — In his last outing, Baltimore Orioles right-handed starting pitcher Kevin Gausman went six innings and allowed just two runs, lowering his ERA to 5.57. He also changed his delivery before his last matchup against the Detroit Tigers. Instead of keeping his hands closer to his body during his windup, he has decided place his hands over the top of his head, controlling his full delivery. 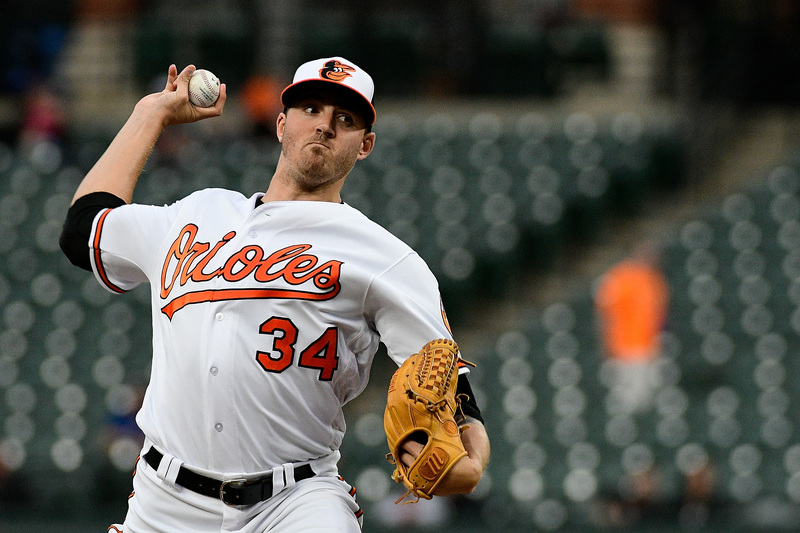 Against the Cleveland Indians on Monday night, Gausman looked to have a similar outing. He would begin the game with a walk to Francisco Lindor, but he would strikeout Jason Kipnis and get Jose Ramirez to groundout. Though the groundout advanced Lindor to second base, he would go no further. Michael Brantley would strike out at the hands of Gausman, who would make it through the first inning unscathed. The same could not be said for the second inning, however. Gausman would allow a quick single to Edwin Encarnacion and then a two-run home run to Yonder Alonso, which gave Cleveland the 2-0 lead. He would immediately get Yan Gomes to line out to Craig Gentry in left field, Bradley Zimmer to line out to Adam Jones in center field and then finished the inning by striking out Brandon Guyer. Before Gausman would go back out for the third inning, Baltimore grabbed him a run back, with the score at 2-1. Lindor would lead of the third inning for the Indians by popping out to Manny Machado at short. Kipnis would ground out back to Gausman, who tossed him out at first. Ramirez would double on a line drive in front of Anthony Santander, but Brantley would fly out to Gentry. Gausman would have another 1-2-3 inning in the fourth, starting with Encarnacion lining out to Santander. Alonso would follow up by lining out to Jones. Danny Valencia would make a strong throw on a Gomes groundout to end the inning. Once again, Gausman cruised through the fifth inning. Zimmer would fly out to Jones and Guyer would line out to Machado. Though Lindor would single to left field, Gausman generated a fly out to left field from Kipnis. Gausman would have strong defense being played behind him, starting with a spinning throw from Tim Beckham at second base to get Ramirez on the first out. Chris Davis would make a diving stab at first, tossing Brantley out with Gausman stepping on the bag. Machado would then toss Encarnacion out for the third out. His strong outing wouldn’t stop there. In the seventh inning, Gausman struck out Kipnis. He would then fan Gomes on a 94-mph fastball. To finish the inning off, Gausman struck out Zimmer looking on a 95-mph fastball. On nine pitches, Gausman delivered three strikeouts for the illustrious “immaculate inning”. 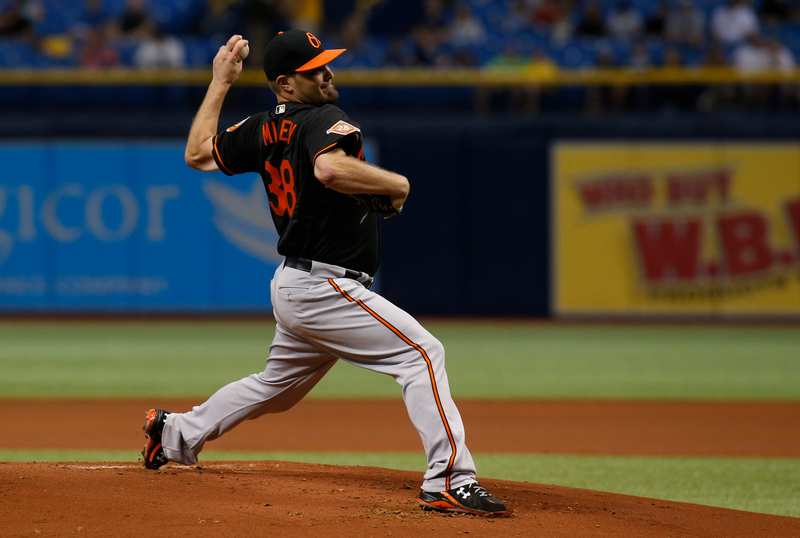 He is the 85th pitcher in MLB to accomplish the feat and the fourth Oriole of all-time, after Jimmy Key, Mike Mussina and B.J. Ryan. In the eighth inning, Gausman would induce a Guyer groundout to Valencia. Lindor would then ground out to Beckham for the second out and Kipnis would strike out swinging on a 96-mph fastball. He finished his day going eight innings, allowing two runs (two earned) on four hits, while walking one batter, striking out seven batters and allowing the one home run in the second. Gausman finished the day with an ERA of 4.66 on the season. He threw 107 pitches with 75 of them being thrown for a strike and it was his third quality start. Unfortunately for Gausman, Baltimore’s bats could not deliver. 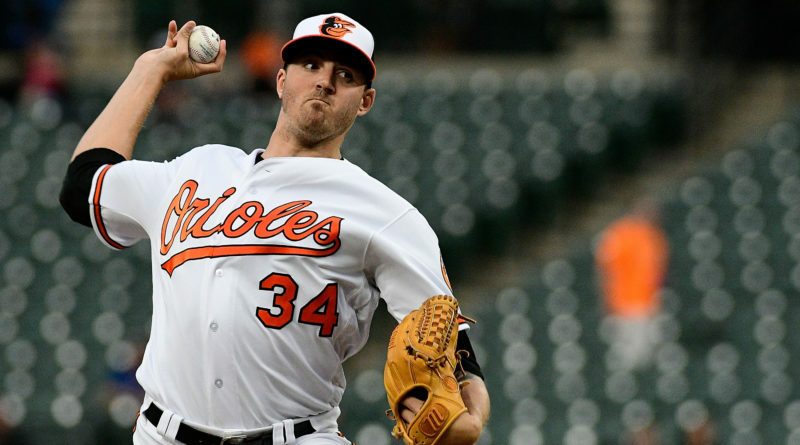 Gausman received the loss despite his strong outing – a recurring theme for Baltimore starters this season. Orioles starters have received just 40 runs of support this year, which is the third-least in the American League and the fourth-fewest in the MLB as a whole. On the other side, Carlos Carrasco just was a little better than Gausman in his start. 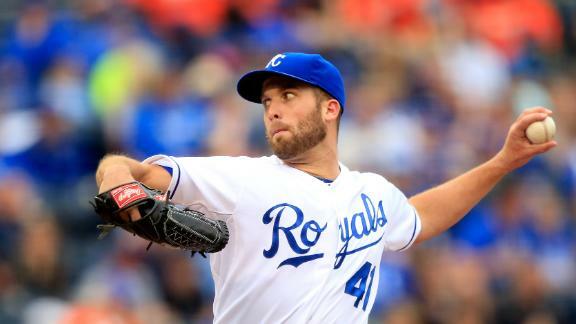 He also would go 7.1 innings, allowing one run (one earned), while walking two and striking out seven batters. Cody Allen delivered the save for the Indians. More predictions on Doc’s Sports.